Robert Shaw open for business on Manor Road 1963. The boogie woogie was born in East Texas, pioneered by George and Hersal Thomas (the older brothers of blues singer Sippie Wallace), who heard music in the choogle of steam locomotives. On such pre-1920 Thomas brother numbers as “The Fives” and “The Rocks,” the percussive left hand aped the rhythm of trains carrying lumber from the Piney Woods, while the right hand created a whistle of movement with dazzling, improvised trips up and down the ivories. Among the most proficient of their keyboard disciples was Robert “Fud” Shaw, who grew up on his father’s farm in Stafford, near Houston. Shaw was a favorite on the barrelhouse circuit – named for the barrels of booze at speakeasies during Prohibition – but he retired from performing in the 1930s to open a grocery store/barbecue joint in Austin. Before it was called boogie woogie after Alabama piano thumper Pine Top Smith’s 1928 recording “Pine Top Boogie Woogie,” the style was known as “Fast Texas.” But in Houston they called it “that Santa Fe thing,” in reference to the Santa Fe Railroad that shot through Fourth Ward as free passage to points beyond. Houston-based music historian Mack McCormick was so intrigued by the piano tradition of that one neighborhood that he took a job there as a 1960 census taker. Besides the usual questions, McCormick would ask about the hot piano players. Many of the greats had passed on, but McCormick heard that Fud Shaw was living in Austin. Shaw moved here in 1935, playing piano and running numbers. A nudge from a judge and a 1939 marriage to second wife Martha got Shaw into more legitimate pursuits. His first market was at 1000 West Lynn St. in Clarksville. In the ’50s he moved to the building at 1917 Manor Road that now houses Salty Sow. Shaw kept an old upright piano at his grocery store and practiced every day. But he had been retired from the music biz for almost 30 years when McCormick tracked him down in 1963, which wasn’t hard to do. Shaw’s store was not only a hub of the black community, but also a favorite of collegians and politicos. “When my grandfather would drive around, he’d know every single person on the street,” said Lea Walker-Clark. 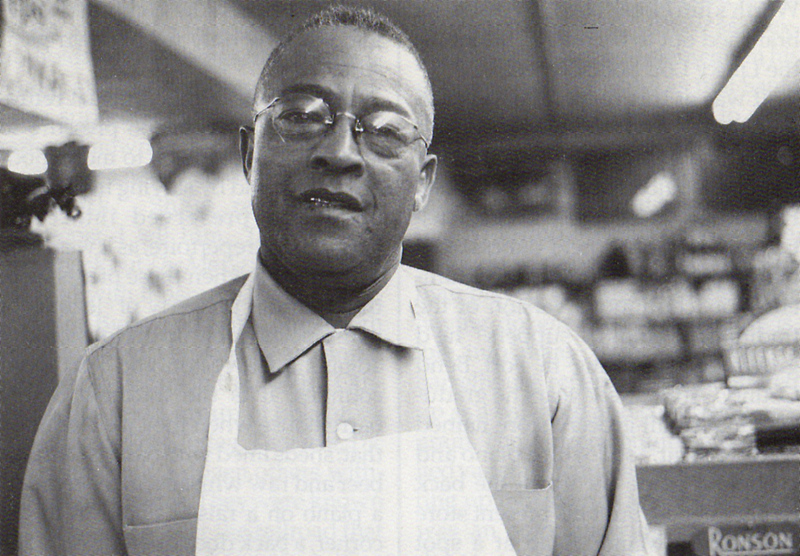 Folks knew Shaw played piano, but they didn’t know that he was keeping alive an African American musical tradition, if only in the back room at Shaw’s Food Market, which everyone called the Stop ‘n’ Swat. When McCormick produced Shaw’s “Texas Barrelhouse Piano” album (later retitled “The Ma Grinder” and reissued by the Arhoolie label), he marveled at how the 55-year-old’s playing was as crisp as the white dress shirts he favored. Because Shaw hadn’t burnt out in clubs, where there’s pressure to chase the trends, his original barrelhouse style, which mixed elements of ragtime and jazz and slow blues with boogie woogie, was wonderfully preserved. He could still play “The Cows”, “The Fives” and “The Clinton,” signature Santa Fe tunes, as if the old gang were still playing hot piano in the sportin’ houses in the Fourth Ward and in the Brazos bottoms towns. Newly rediscovered, Shaw performed with Janis Joplin at a blues concert on the University of Texas campus in April 1966. The great blues singer Victoria Spivey sang Fud’s praises in Record Research magazine that same year, calling the pianist a “true representative of the wonderful Texas blues tradition.” Rod Kennedy booked the piano pioneer at the Kerrville Folk Festival for 14 straight years. 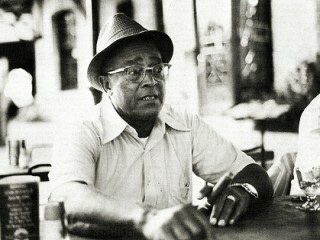 The folkies and the hippies embraced the original blues musicians, but unlike most of the others, the description “itinerant bluesman” didn’t apply to Shaw. The player got his entrepreneurial gene from a father who not only raised cattle and hogs, but owned a barbecue joint and market. When they laid Robert Shaw to rest at Capital Memorial Gardens in May 1985, a heart attack victim at age 76, they buried the man, but not the tradition he helped keep alive. “Long before it was Salty Sow – or Red House Pizzeria, El Gringo, or J Mueller’s BBQ – the space on Manor Road was a grocery store and barbecue restaurant named the Stop n Swat. The business was owned by Robert Shaw, a successful blues musician who pioneered a style of barrelhouse piano which he used to play for his customers. The back house, now a bar area called The Trough area, was where he lived, right next to his store.